About Bhadrachalam Temple is very spiritual. 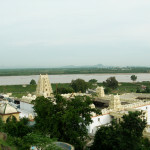 Bhadrachalam situated on the northern bank of holy river Godavari and is famous for the Vaikunta Rama temple. Different Travelling facilities to Bhadrachalam are also available. 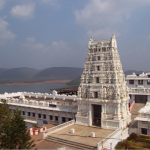 Along with that there are many visiting places of Bhadrachalam Temple which are most prominent. 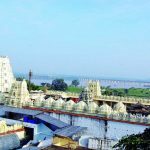 Epic Story of Bhadrachalam Temple – At Bhadrachalam, Sri Ramachandra’s deity is in a very distinctive posture. 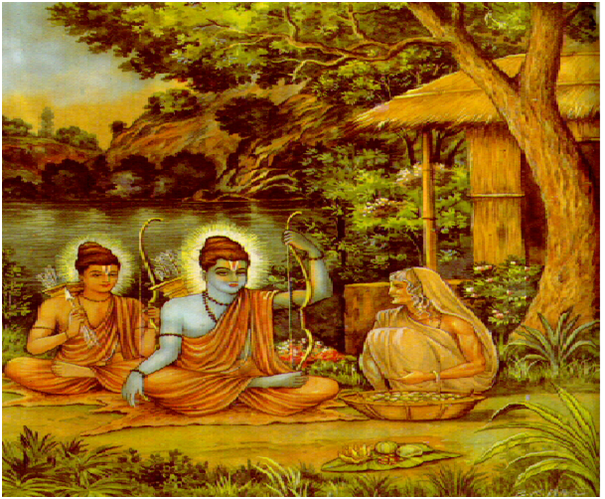 The Lord reveals his full four-armed form in the temple, holding a bow and arrow in his lower hands and conch shell and discus in his upper hands Sri Sitadevi sitting on his left thigh and Sri Lakshmana standing next to him with bow and arrow. 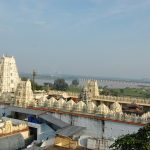 About Bhadrachalam Temple Another interesting aspect of the Lord form is that the Lord holds His divine weapons – Panchajanya and Sudarshana- in reverse. 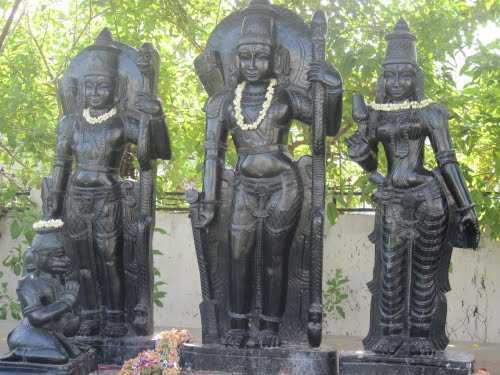 History of Bhadrachalam Temple Here, in Bhadrachalam, the Lord holds the conch shell in his right and discus in left hand. It is believed that the Lord holds Panchajanya in his right hand in order to sound it, and announce His arrival to Saint Sri Bhadra who was in the midst of doing contrition. 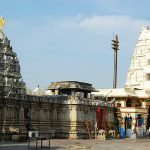 About Bhadrachalam Temple They celebrate two major festivals in Bhadrachalam every year which were familiarized and traditionally celebrated right from the tenure of Bhakta Ramadas. 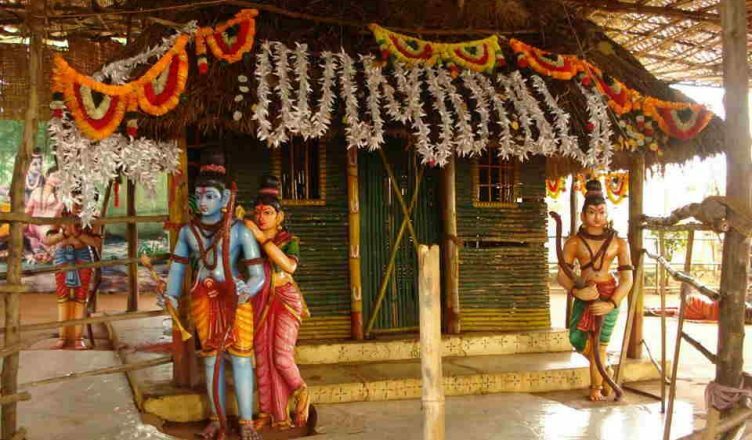 “Vykuntha Ekadasi” a religious festival that attracts lakhs (hundred thousand) of devotees from all over the country at this famous shrine Bhadrachalam, is celebrated in the months of either December or January in ‘Dhanur Masam’ on the day of either Pushya or Margasira shuddha Ekadasi. 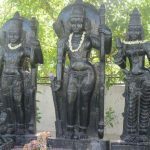 The ten day festival called Adhyayanotsavams and Dasavatara Mahotsavams (10 incarnations) of Sri Maha Vishnu are preceded to Vykuntha Ekadasi Fete. The colourful Teppotsavam is a special attraction to the devotees on the day of Dasami. 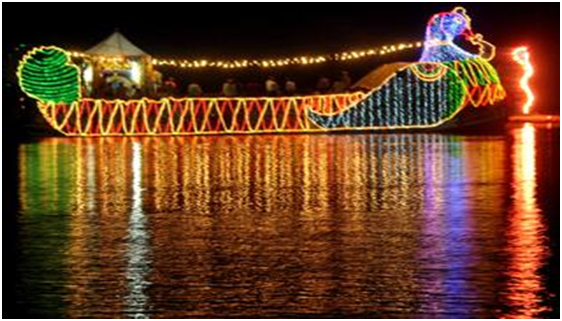 The deities of Rama and his consort Sita will be taken into rounds on the holy river Godavari on a well decorated “Hamsavahana” amid display of crackers and stupendous illumination. On the auspicious day of Vykuntha Ekadasi at the early hours in the morning they will open the Vykuntha Dwarams at northern gates for darshan to devotees. It is a belief that they will attain renovation after having Vykuntha Dwara darshan. The Hamsa Vahanam reached the ghat after completing five rounds in the river even as spectacular fireworks lit up the sky. Vaaggeyakara Mahotsavams are being celebrated every year to commemorate Bhakta Ramadasa, a vaaggeyakara and an ardent devotee of Sri Rama. Dhyana Mandir, a prayer hall was constructed in 1972 in memory of Bhakta Ramadasa by Mr. Neelamaraju Venkata Sheshaiah, the editor of Andhra Prabha by collecting funds from public through donations from Andhra Prabha (Telugu Daily News Paper) readers. Since then, the Vaggeyakaara mahotsavams are being celebrated during Mukkoti Ekadasi by inviting renowned musicians.